I am such a chocolate lover, anything chocolate will do for me. This super easy snack only takes a few minutes to make and will be the perfect bite to end a meal. 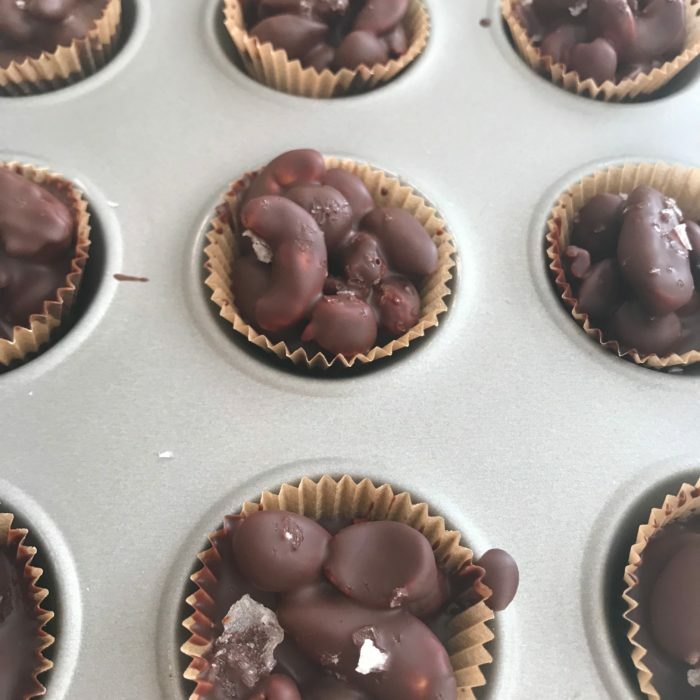 Melt the chocolate and coconut oil (either by 30 seconds on high in microwave stirring well or on the stove in a small pot). Drop the nuts and mix until all nicely coated. Using a spoon, get a little bit of the mixture and place on a lined sheet or in mini muffin cups. Sprinkle some madden salt and cool in the fridge until chocolate hardens.